It’s rare for a band to come along and please the senses with an epic auditory experience, especially one that is Christian in nature. 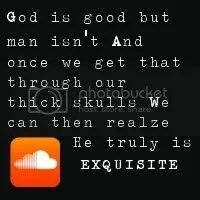 And, even when alternative Christian bands find their way to the religious mainstream scene, most come with a familiar feel and a few stock sounds here and there, accented, of course, by their unique flavor. 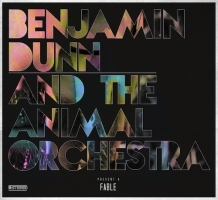 Not so with Benjamin Dunn and the Animal Orchestra. The band’s release of their first album, Fable, stares normalcy in the face, and slaps it with musical heroism and fantastic lyrical storytelling. Combining Dunn’s compassion for the poor, his love for C.S. Lewis books and, of course, his ever-evolving artistic vision for musical worship, it is no wonder Fable is so epic. Fitting enough, the melodious voyage embarks with “So the Story Begins,” a beautifully synth-driven instrumental that progresses from a hypnotizing solo keys riff to a buildup of a full array of syncopated drum patterns and added synthesizers, only to drop off and end with a quiet organ-like hum. As abruptly as the instrumental ends, the hum carries into the album’s second piece, “My Name Is Eustace,” where Dunn addresses grace’s power to make “death die” and love’s ability to make “men alive.” With a similar solo keys riff guiding the sophomore song and a splash of extra synthesizers mixed with crashing drum patterns, we’re introduced to Dunn’s captivating voice for the first time, a voice that is eerily enjoyable.